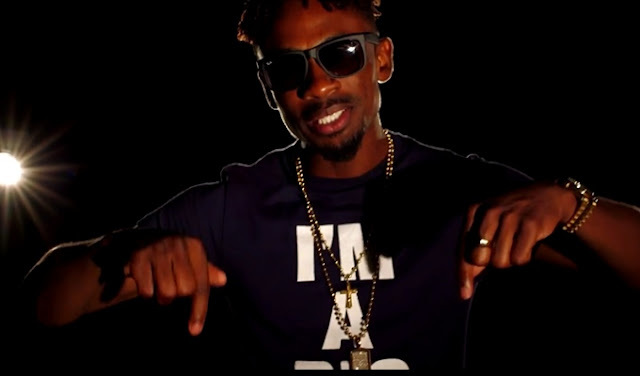 Jamaican singer Christopher Martin drops a new visual for "I'm A Big Deal," off his latest EP Steppin Razor and the chart-topping compilation Reggae Gold 2015 (currently #1 on U.S. Billboard Reggae Album Chart). This video (which premiered on Singersroom) is Martin's first of a three part promotional series (directed by Keon Hype), which was filmed at the YouTube Space New York production facility. VP Records has formed a strategic partnership with YouTube and there will be much more creative content filmed at their production's headquarters. The official music video for "I'm A Big Deal," which was shot in Martin's homeland of Jamaica, will follow. Christopher Martin is also gearing up for his first full-length album, slated for release later this year. On the heels of his outstanding performance at Jamaica's largest annual music festival Reggae Sumfest, Martin continues to hit the road with dates in the U.S., Canada and Europe throughout August and September.